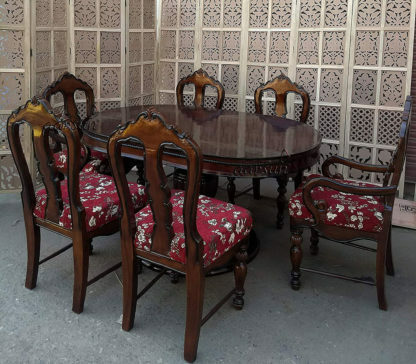 Aarsun Woods presents to you handcrafted Wooden dining set made from premium quality Sheesham wood by skilled artisans. 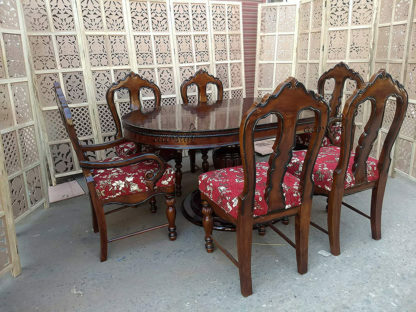 A transitional style dining set that features dining table, and Six side chairs with Beautiful fabric. 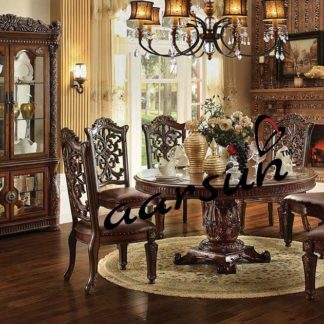 It is finished in natural Walnut for a dazzling appeal. 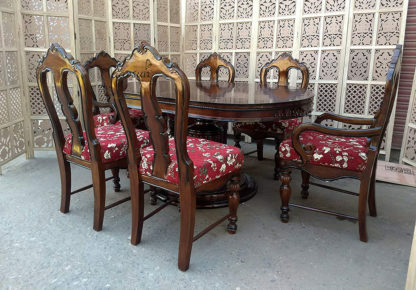 The dining chairs look beautiful and make this dining set unique. 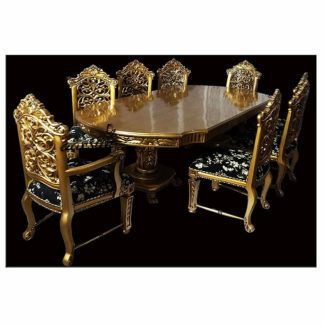 The dining room set features a really attractive design. 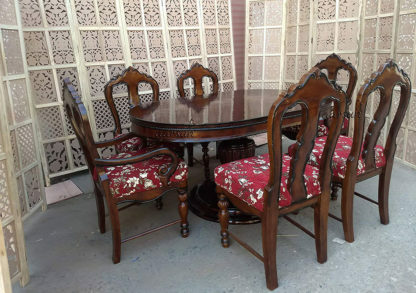 its a beautiful addition to dining room area.